Two weeks ago, it was reported that Samsung would soon reveal the results of its official investigation into the Galaxy Note 7 fires. While the report isn't due until next week, the company has concluded that the handset’s battery was mainly responsible for the problems, according to Reuters. It’s common knowledge that the fires were related to the battery, but it was assumed that other factors played a big part. Following the first recall, Samsung blamed its affiliate battery division, Samsung SDI, for supplying faulty components, assuring people that the replacements, from China’s ATL, were fine. But they also started to explode, leading to a second recall and the Note 7’s total demise. Reuters' source, who is said to be “a person familiar with the matter,” said the results will be announced on January 23 - the day before Samsung reveals its detailed fourth-quarter earnings. The anonymous person added that the firm was able to replicate the fires during its investigation and the cause couldn’t be attributed to hardware or software issues. If accurate, the official report contradicts the findings from manufacturing technology company Instrumental, which concluded that a “fundamental problem with the design” was the cause of the exploding Note 7s. It said that the battery was so tightly packed inside the handset, pressure from natural swelling and casing stress was damaging the separator layers that keep the positive and negative layers apart. 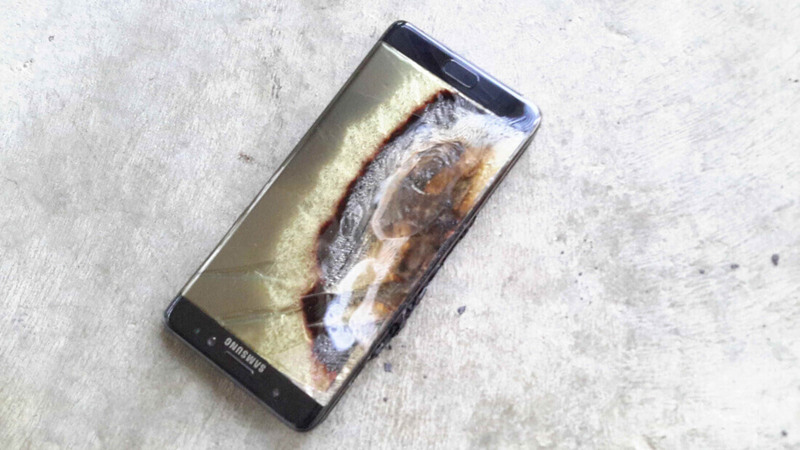 Samsung will need to assure people that the Note 7 debacle was a one-off and that such a damaging incident will never occur again. "They've got to make sure they come clean and they've got to reassure buyers as to why this won't happen again," said Bryan Ma, a Singapore-based analyst for researcher IDC. Placing the blame almost entirely on the batteries seems strange, especially as the same problem occurred in batteries from different suppliers. Ma agrees with Instrumental’s findings – that the overly aggressive design didn’t leave enough room for the battery. “To me it'd be surprising if they said it was a supplier issue," he said. We’ll just have to wait until next week to find out the full details of Samsung’s report.